Fit Girl Daily: Don't forget those veggies! Your D for today is Don't forget those veggies! Here are 5 tips to incorporate more veggies in your every day diet. 1. Throw veggies in a smoothie - You can easily add a handful of spinach to any smoothie! It's a great way to incorporate more greens without the "veggie" taste. 3. Make "veggie wraps" - Use large romaine leaves to make wraps. Super quick and delicious! Stuff them like tacos, burgers, etc. I do this all the time! 4. Stuff veggies - Bake bell peppers stuffed with rice, chicken, cabbage, or other delicious healthy foods! There are tons of delicious ways to bake veggies with. It doesn't have to look pretty, it just needs to taste good! 5. 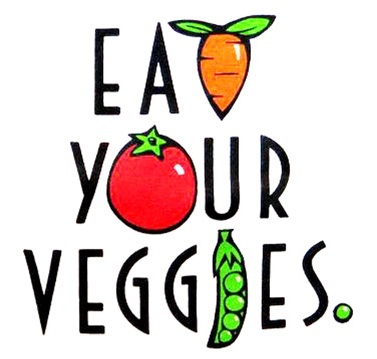 Have pre-cut veggies with a side of hummus ready to go - If you've already cut them up, you're more likely to eat them. I know some people even portion them out in serving size containers for an even quicker snack! Make sure to see what other "D" tips the ladies have for you today!